← Malta here we come! We are now ensconced on the main island of Malta in an area called Ta’ Xbiex. 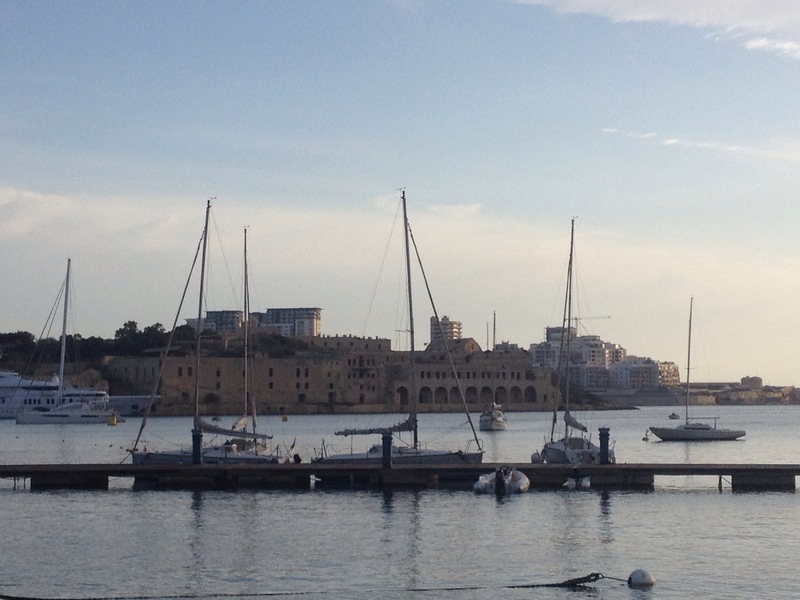 The Msida Creek marina is one of the most sheltered in Malta and we were lucky to get a 7 month berthing contract until the end of next April. The area is full of chandleries so we are both very happy, especially as most things appear to be a lot cheaper than the UK and certainly the rest of the Med so far. Fuel is cheaper so we filled up on our way in on Weds afternoon although we hadn’t used that much since Tropea. Once in, we spent a long time cleaning the boat as she was encrusted with salt and then did the same for ourselves! 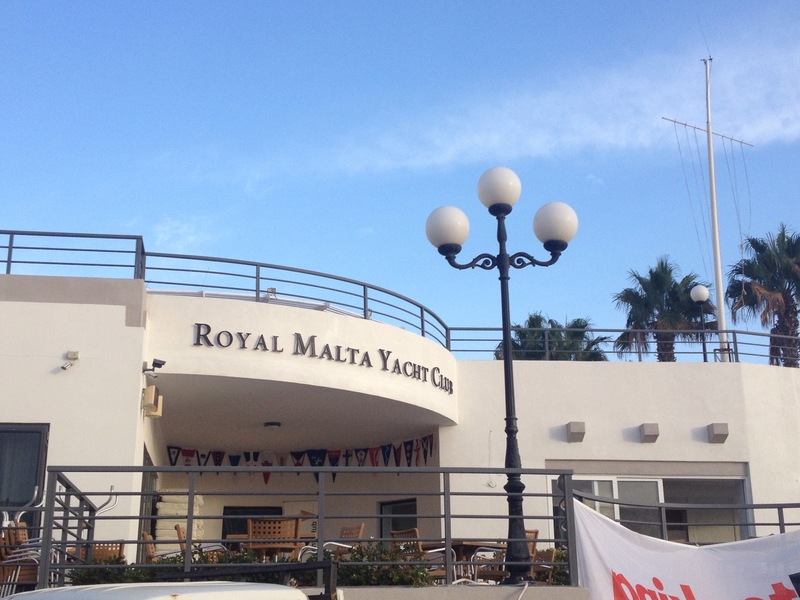 We showered on board as the facilities were “public” but we now have a card for the Royal Malta Yacht Club and can avail ourselves of their facilities. They are at the end of the quay so very close by although when they move us to our winter berth deeper into the creek (and therefore more sheltered), it will be quite a schlep. Yesterday was spent sorting out our contract, checking in with customs and immigration as well as working out where everything is – supermarkets, laundrettes etc. We also visited the boatyard on Manoel Island to get a quote for having various bits of the boat looked at, including the keel as some rust has started to come through. We also engaged the services of a ‘caretaker’ to look after the boat in our absence as this is a local requirement. As well as checking on the boat and moving her if necessary, they can supervise any repairs. We have taken on a Dutchman, Peter, who was recommended by the marina and has been around boats for half a century and is looking after a number of boats in the marina already. He also knows many local tradesmen if we need anything done. We had rain for the first time yesterday afternoon, first of the season apparently, which was very cooling as it had become very humid as well as hot! Unfortunately, there was sand in the rain so a very clean Nimmie has a slight orange glow at the moment. Today, we are doing more chores including the laundry and we had hoped to get the sails off for valeting but the wind is quite strong today so that might be a job for tomorrow morning if the sail maker is open then. It appears that Malta shuts Sat afternoon and Sundays. The laundrette ended up being a 15 min bus ride to Sliema and eventually found a self service laundrette. €8 a wash so not cheap as we had two loads of salt encrusted clothes and bedding! However, there is free wifi so able to write this post! Tomorrow we are planning on spending time in Valletta sightseeing and having a meal out – our first since going through the Messina Straits. Pictures below of the view from the marina this morning and of the the Royal Malta Yacht Club. This entry was posted in News and tagged 2014, Maintenance, Malta, Med. Bookmark the permalink. The marina looks lovely – I hope Nimrod will be very happy there. I loved the photo of her barnacled bottom btw.